← 2.7 Million Indie Books Published in 2010 – Holy Bejeezes! 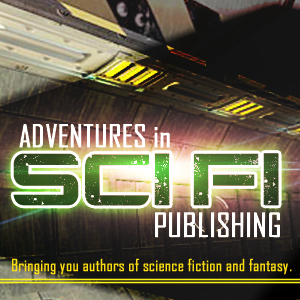 Shaun Farrell, who runs the Adventures in SciFi Publishing podcast, interviewed my editor David Bischoff last week. The whole thing went very well, and David did an excellent job talking about his long career both as a writer and editor of SF, and his recent foray into indie publishing. As you may know, David started Hotspur Publishing, an independent company to publish his backlog that has accumulated over the years, along with new titles like Freedom Club, written by me. I’m especially pleased that my book was mentioned as well during the podcast. It was really nice of Shaun to help promote the book, and I would urge everyone to listen to episode 154 of Adventures in SciFi Publishing and even comment on the the podcast web page if you can. This entry was posted in Sci-Fi, Science, Science Fiction, SciFi, Writing and tagged Adventures in Sci-Fi Publishing, Book review, book reviews, books, Hotspur Publishing, Sci-Fi, Science, science fiction, Writing. Bookmark the permalink.